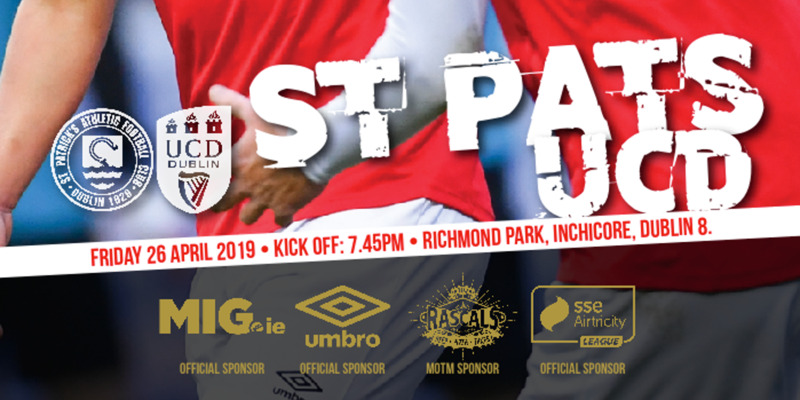 Gary Rogers; Alan Keane, Gavin Peers, Evan McMillan, Iarfhlaith Davoren; Lee Lynch (Liam Martin 76), Seamus Conneely, Joseph Ndo (for Kieran Djilali 68), David Cawley, David McMillan; Anthony Elding. Brendan Clarke; Ger O'Brien, Conor Kenna, Aidan Price, Ian Bermingham: Conan Byrne (Sean Gannon 76), Shane McFaul, Stephen Maher, Greg Bolger, Chris Forrester (for Jake Kelly 61); Anto Flood (Christy Fagan 87). 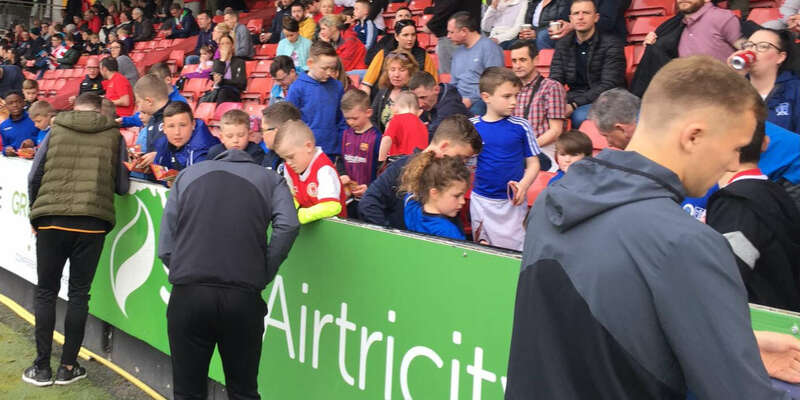 Saint Patrick's Athletic continue to lead the Airtricity League Premier Division by four points after they played out and even and entertaining 1-1 draw with Sligo Rovers at the Showgrounds. A horrendous Evan McMillan mistake on 16 minutes lead to Anto Flood's opener before McMillan made up for his shortcomings eight minutes from time when he bundled the ball over the Saints line to earn Rovers a point. As a result the reigning league champions leapfrog Derry into second place in the table. The reigning Airtricity League Champions were without Danny Ventre (leg), Danny North (knee), Aaron Greene (foot), Raffaele Cretaro (hamstring) and Pascal Millien (international duty) while Saints boss Liam Buckley went into the game without creative winger Killian Brennan and defender Kenny Browne, both through suspension. Attacking midfielder John Russell was a late withdrawal due to a pre-game injury. 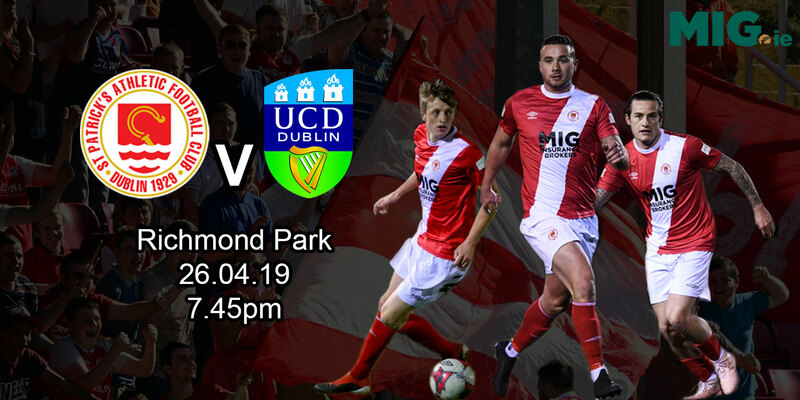 The home side were the first to produce a chance of note as Joseph Ndo's shot sailed narrowly wide of Brendan Clarke's goal with three minutes played. The majority of play in the opening ten minutes took place in the Sligo half, but Pat's failed to capitalise. Conan Byrne's tenth-minute shot which failed to test Sligo 'keeper Gary Rogers was the closest the Inchicore side came to an opener. Clarke had to be alert on 14 minutes to touch David McMillan's shot around his post, while Evan McMillan was unable to get a touch on Gavin Peers' knock-on from the resulting corner just moments later. Pat's took the lead on 16 minutes when the flight path of Brendan Clarke's punt up field was misjudged by Evan McMillan in front of his own penalty area. Anto Flood assumed possession before bringing the ball inside the Rovers area and slotting it low past Rogers to put the league leaders ahead. David Cawley passed up a golden opportunity to level the game on 23 minutes. Ndo's trickery found Lee Lynch out wide, before the Limerick native's cross found the head of Cawley who nodded the ball straight into the waiting gloves of Clarke from two yards with the goalmouth gaping. Both David McMillan and Flood went close for their respective sides on 30 and 31 minutes. Anthony Elding - inside the Pat's six yard box - couldn't adjust his body in time to react to a Lynch ball from deep six minutes before the break, leaving Clarke happy to grasp the ball with ease. Elding should have done better with his next chance one minute into stoppage time at the end of the opening period. The imposing striker, unmarked, threw his boot at Iarfhlaith Davoren's cross from the left but failed to make contact as the ball deflected away off his standing leg. Sligo had an appeal for a penalty waved away by stand-in referee Paul Tuite two minutes into the second half. Alan Keane's cross from the right bounced off Conor Kenna's leg and inadvertently struck his hand, but Tuite showed little interest in Rovers' protestations. David McMillan sent another pile driver over Clarke's crossbar on 49 minutes before Peers almost turned the ball home on 52 minutes from an Ndo corner. Clarke again doing well to get a touch on the centre half's effort to send it behind. The away side had to rely on their goalkeeper on 56 minutes as he denied Peers yet again. The former Blackburn Rovers trainee did well to rise above a host of Pat's defenders to head a Davoren cross towards goal, but Clarke again tipped the ball to safety. Elding should have done better with a 73rd minute chance which he headed over the Saints crossbar. Keane's cross was flicked across goal by David McMillan toward Elding who failed to direct his header on target at the back post. Peers gifted Greg Bolger a great opportunity to win the game only seconds later when he sliced the ball into the path of the former Dundalk midfielder. Rogers had to be at full stretch to touch Bolger's curling effort wide. A Davoren volley from 20 yards was easily dealt with by Clarke with 13 minutes remaining as Sligo pushed for an equaliser. Rovers' hard work eventually came to fruition on 82 minutes when Evan McMillan bundled the ball across the Saints goal line. Substitute Kieran Djilali's floated cross to the back post was headed back across the face of the goal by Seamus Conneely. The Inchicore side failed to clear their lines and McMillan popped up at the back post to get the vital touch to blast the ball past Clarke. The Saints almost stole all three points one minute into injury time as Bolger's well hit volley from the edge of the area left Rogers flat footed. The former Pat's 'keeper relieved to see the ball float past the post.